This article is written by Japanese State Minister for Foreign Affairs Toshiko Abe, who helped lead Japan’s 5th Annual WAW! World Assembly for Women forum in Tokyo. The international event gathered influential women executives and leaders for powerful discussions on strengthening women’s empowerment across the world. 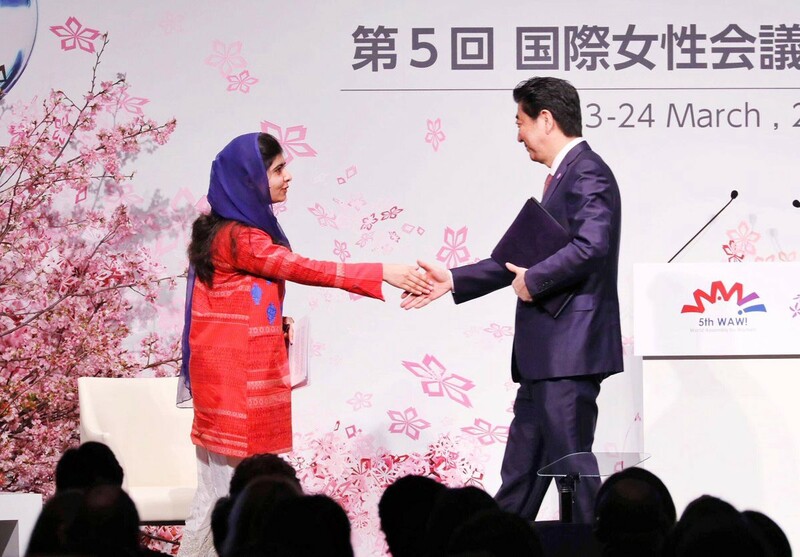 Unlocking the potential of women; this is a crucial challenge Japan faces today. Women’s active participation is a prerequisite for realizing a society which is both inclusive and rich in diversity. Only by unleashing the full capacity of women can a vibrant society and robust nation be built. Women’s ingenuity in creating new products and tapping new markets is an engine for economic growth. 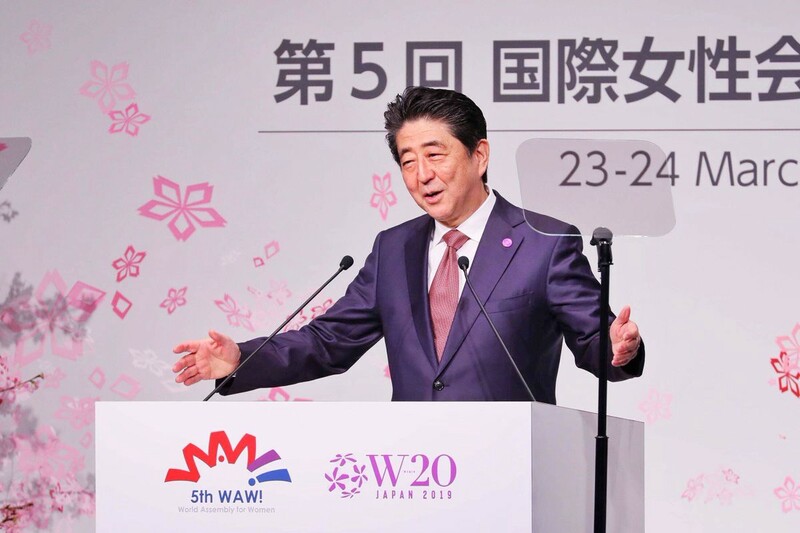 Japan places “Womenomics,” launched by Prime Minister Abe in 2013, at the center of its growth strategy and has been promoting the role of women in the economy. As a result, 2.88 million women have been newly employed while the number of female board members of listed companies has multiplied by 2.7 times over the past six years. Nonetheless, Japan still ranks 110th among 149 nations in the 2018 Global Gender Gap Index published by the World Economic Forum; regrettably, the lowest amongst G7 countries and the fourth from the bottom among G20 members. The hurdles that stand in the way of the advancement of women in society are yet to be fully recognized in Japan. OECD data shows that Japanese men accomplish fewer hours of housework and childcare than men in any other developed countries. Moreover, women in Japan face the double tasks of childcare and elder care, as well as the challenge of pursuing their professional careers while getting married and having children. These are the outstanding issues of Japan’s social environment that need to be worked out. We see some promising signs, however, in the changing mindset of men in the younger generation. According to a survey conducted by Japan’s Cabinet Office, the percentage of men who affirmed that “housework and childcare are wives’ roles” was approximately 60% among men in their 60s, compared to less than 30% among those in their 20s. The coined word “ikumen,” meaning men who proactively engage in childcare, has become a commonly used term. Collaboration with the international community is essential. Japan is willing to learn from other countries and to also share its own experience. This is why Japan has been hosting the “World Assembly for Women (WAW! )” since 2014, as a platform to share each other’s challenges, efforts and good practices. This year, the 5th WAW! was held in Tokyo from March 23–24, with “WAW! for Diversity” as the main theme. The meeting delivered a powerful message on women’s empowerment — not just within Japan, but also to the world, with the participation of Malala Yousafzai, a Nobel Peace Prize winner, and Michelle Bachelet Jeria, the UN High Commissioner for Human Rights. As the chair of this year’s G20, Japan will focus on women’s empowerment in the upcoming Osaka Summit in June. We are determined to advance the international movement towards creating greater roles for women by highlighting three key areas: (1) women’s labor participation (2) supporting girls’ education, including in the STEM area and (3) engaging with women business leaders and entrepreneurs. The empowerment of women contributes to nation-building, while conflict and social disruption affect women and children heavily. This belief has made Japan prioritize women in allocating its assistance to developing countries. Women’s healthcare and the advancement of girls’ education to unlock their full potential are key. For example, Japan focuses on female faculty members in its assistance programs to ASEAN countries to train engineers and to develop research and education systems, with the belief that the expansion of women’s participation in the fields of science and technology will boost innovation. Moreover, Japan places importance on supporting lifelong learning for women who could not be enrolled, as well as on raising the awareness of parents and communities about the importance of women’s education. Japan faces numerous challenges related to the empowerment of women. Squarely facing this fact, Japan will strengthen efforts, both domestically and internationally, to ensure consistent results. We will not overlook the most modest of opportunities for women, not even for a single person, to thrive in Japan, and in the world. Japan will never stop moving forward. Official Medium account for the Embassy of Japan in the USA.